Paintball-Turf.net is a company which specialises in the development of turf (artificial grass) for paintball and recreational fields. Our turf provides both playing comfort and safety and is therefore ideal for the sport of Paintball. 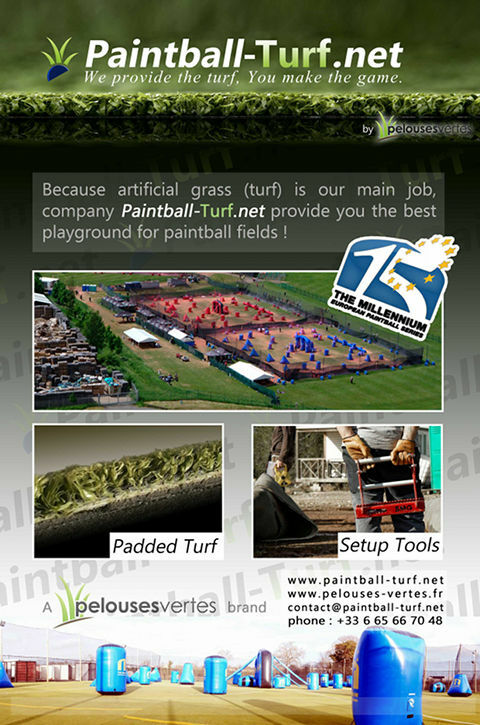 Paintball-turf.net is part of the commercial company Pelouses Vertes, a company which specialises in providing synthetic surface for all leisure and sports. True professionals will advise you all the way, from the concept to completion of your projects with solutions tailored to your needs and budgets.